I expected so much more from this author - couldn't wait to listen and become absorbed in another suspenseful story. This was mostly fluff and very little suspense. I could well have done without the 16 hours I put into this and listened to something with some grit or substance. Sorry, 2 stars was the best I could do. 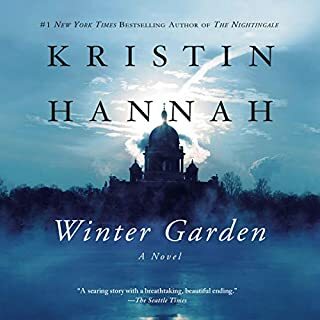 I have always enjoyed listening/reading books by Kristin Hannah and couldn't wait to get into Winter Garden. During the first half of the book, I nearly returned it. The female characters, with the exception of the mother, were whiny, trite and went on and on like a broken record. On the other hand, the male characters were calm and centered, almost saintly. Then the second half of the book finally revealed some family history which, while interesting, was really difficult to listen to. I have no doubt of the Russian plight during WWII but have no desire to have hours of the gory details. Sorry to be on the negative here yet I just can't give this a decent rating. The story was okay. The narration, however, was awful and seriously detracted from anything redeeming from the book. Don't waste a credit even given the positive reviews. 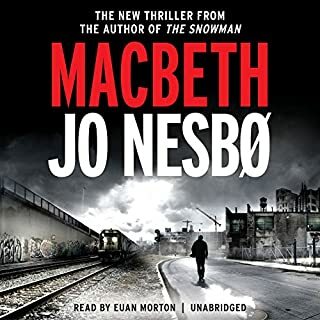 Set in the 1970s in a run-down, rainy, industrial town, Jo Nesbo's Macbeth centers around a police force struggling to shed an incessant drug problem. Duncan, chief of police, is idealistic and visionary, a dream to the townspeople but a nightmare for criminals. The drug trade is ruled by two drug lords, one of whom - a master of manipulation named Hecate - has connections with the highest in power and plans to use them to get his way. Something about this listen didn't appeal to me. It's dark as are most of Nesbo's books so I was prepared for the gritty undertones. 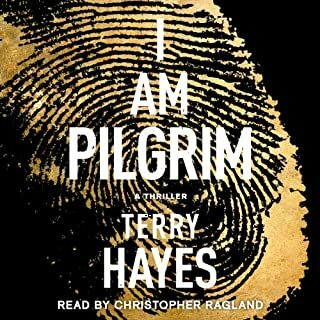 The narration was decent and I was able to understand the accent. There was a fair amount of suspense and the story was a long one which I enjoy. Odd, though, that I didn't care for it. 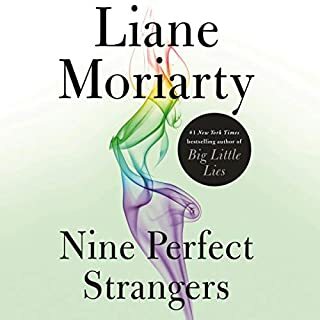 When I think why this is I realize there are no likable characters, little hope that things will improve, and while listening, I felt the moroseness of the story. I finished, was glad to get to the end and definitely don't recommend. Charlie Gordon knows that he isn't very bright. At 32, he mops floors in a bakery and earns just enough to get by. Three evenings a week, he studies at a center for mentally challenged adults. But all of this is about to change for Charlie. As part of a daring experiment, doctors are going to perform surgery on Charlie's brain. They hope the operation and special medication will increase his intelligence, just as it has for the laboratory mouse, Algernon. This book was written long before the average person knew much about mental retardation. I wonder if it changed minds about a person with challenges or special needs. As a special educator, I very much appreciated hearing the frustrations of family and friends as well as the arrogance of some in the scientific community. And beneath all this is a beautiful story of a man who had the opportunity to explore the brain/mind from the wide range of IQ measurements. There are gifts and challenges of both ends of the spectrum. This must have been quite an eye opener in its early days and is a great reminder today that people are people and we each come in a different package. Please let this all be fiction. Terrific Story - Good till the last words! I follow Ted from Lancaster PA and typically download books based on his reviews. And was he right on with this one! It is a seriously well-told story from beginning to end. There are many stories woven into the final 1/4 of the book and it all comes together in perfection. I tend to listen while doing other things (driving, cooking, yard work) and sometimes my mind wanders. This is a book that demands a bit of attention since with author is telling the background of the main characters. When I drifted, it was tricky to figure out where I was in the story. 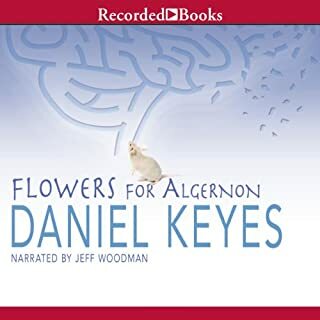 Take your time and enjoy this really great book - and fine narration as well. This will probably not win any awards or gain critical acclaim but listen to it anyway! It's a sweet story with good characters and will leave you smiling. No big suspense, no cliff hanger, no earth shaking events - just the lives of two people and a darn good story. There are sad and challenging issues to this story. It's about the terrible things war does to a person, how it affects everyone around the individual, about how change is difficult even when it's for the best and how very important friendship and family are to the characters. I learned much about Alaska during the 1970's. The different characters in this book truly bring it to life and I find myself still thinking about some of them! Be sure to listen beyond the books' end as the author provides interesting information about herself and the story. This is a beautiful and well-written story. 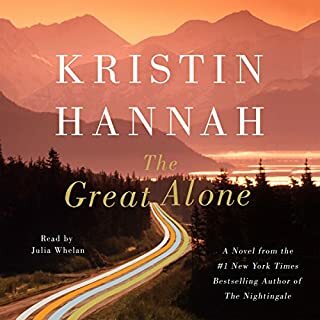 You will probably not hear about Alaska and not think about this book. 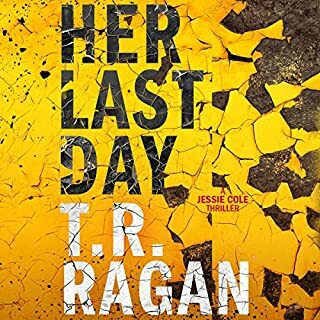 During a murder investigation, Dave Robicheaux discovers he may have committed the homicide he's investigating, one that involved the death of the man who took the life of Dave's beloved wife. 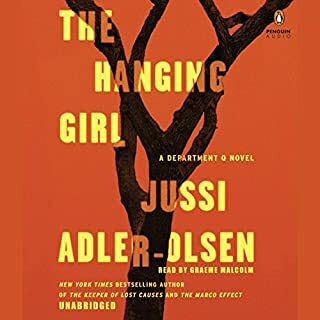 As he works to clear his name and make sense of the murder, Robicheaux encounters a cast of characters and a resurgence of dark social forces that threaten to destroy all of those whom he loves. Burke - Robicheaux......who could ask for more! This book did not get the stellar reviews most of Burke's books receive yet it's still 5 stars for me. 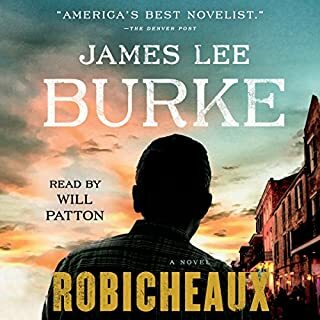 Between Burke's most excellent story and Will Patton's narration, this was another story of the adventures of Robicheaux and Clete. 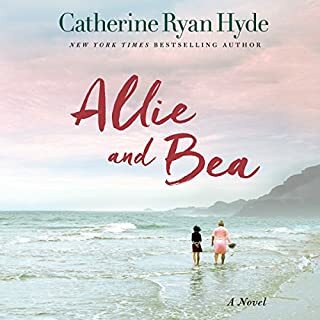 After listening to the last in this series, I wondered how in the world Burke would write his next novel with the two characters. As usual, this author let some time pass, caught the reader up on events, filled in missing information and it worked out beautifully. To have picked up days or weeks after events in the last in the series may have just been too much information! I doubt I'll ever tire of the Robicheaux novels! In the middle of his usual hard-won morning nap in the basement of police headquarters, Carl Mørck, head of Department Q, receives a call from a colleague working on the Danish island of Bornholm. Carl is dismissive when he realizes that a new case is being foisted on him, but a few hours later he receives some shocking news that leaves his headstrong assistant, Rose, more furious than usual. Wow......I am so hooked on The Dept. Q novels I just wait with baited breath for the next one to come out. This story involves most of the police characters from previous novels yet the story is completely new and different. This particular story seems a bit disjointed in the beginning yet I knew from previous listens that it would all come together - and it did! A good mystery with several twists and turns at the end. My son also enjoys the series and we have great fun discussing what the Dept. Q crew is up to! We are both hoping to learn more about Assad's back story!! He and Rose add good humor to what could otherwise be a grim tale!